Jon Stewart recently stepped out from behind the desk at The Daily Show to tackle Rosewater, his directorial debut. Back in 2009, Stewart interviewed journalist Maziar Bahari on his show, the footage of which would eventually be used as “evidence” that Bahari was working with an American spy and led to his imprisonment and torture in Iran for over 100 days. 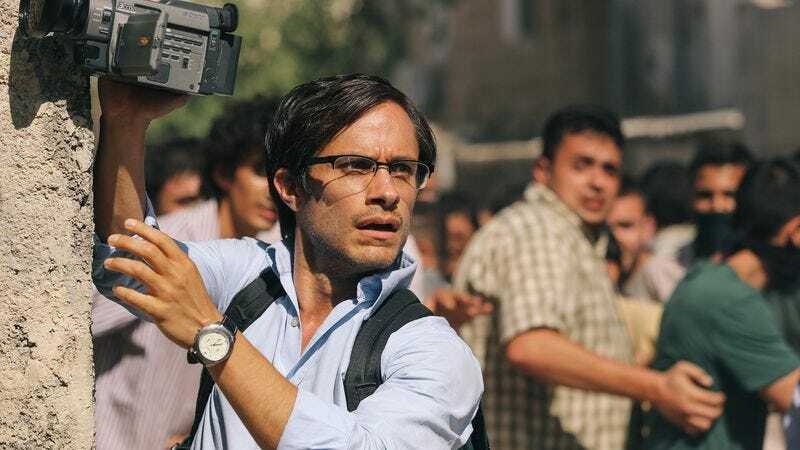 The drama, which follows Bahari’s struggle to keep hope alive behind bars, stars Gael García Bernal. The film opens in Chicago on November 14, but The A.V. Club has an opportunity for you to attend a free early screening on November 11. For a chance to win screening passes, follow the link here and enter your contact information. Remember, seating is first come, first serve, so arrive early! A trailer and synopsis for the film can be found below.